South African Trance producer Saragn comes out of the shadows again with his latest 2 track EP showcasing his unique take on uplifting trance. Some label his music as psy influenced, some say he produces with a prog influence, he’d probably disagree with all of that and just say something simple like “Man, I just write what feels good”. Whether or not either of that is relevant is arguable, what is relevant though is the two tracks on this EP. Arcade Fire is a collection of bass and darkness married to his signature FX rich arrangements and what you’re left with is a real world trip into interstellar sound design. When you hear the drop, it all comes together in an earth shattering few minutes of Saragn mayhem with a crunchy tech feel. 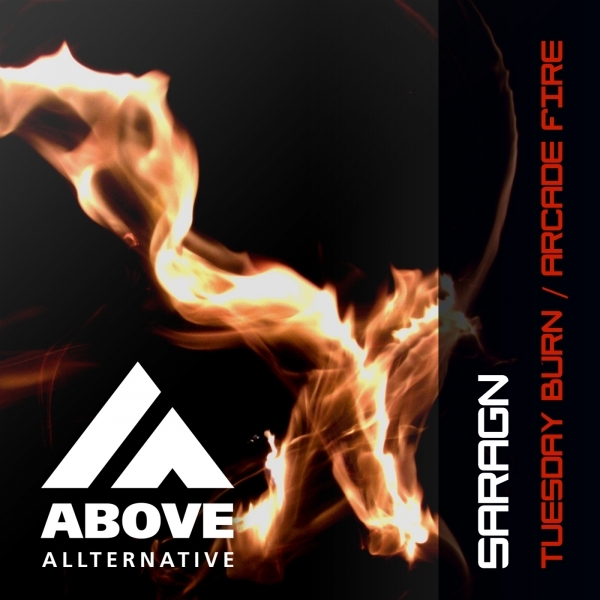 To round off the release, the second track on the EP is Tuesday Burn, originally written way back in 2012 as an exercise to work out where he wanted to go with his sound, Saragn doesn’t disappoint with his 2015 release of this tune which is as relevant now as it may have been back in 2012 had it seen a release then. The 2015 upgrade to this tune is greatly superior to the original version and doesn’t fail to impress. Saragn is well known for his warm and thick basslines and on Tuesday Burn this facet of the production is top class as usual. The main melody in the break is how Saragn pays homage to some of the more classical trance tunes of years gone by that influenced him but don’t be fooled as the build up drives you all the way up into a less than classical tech-like main drive and will hopefully drive you to complete what ever task you’re busy with, while you’re listening. We like to call it AIE (Audio Influenced Efficiency).